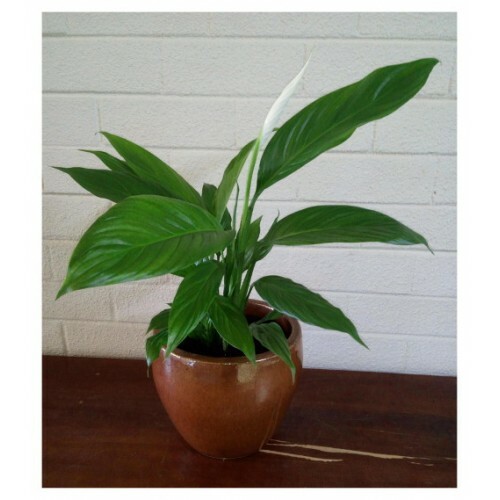 Peace Lily (Spathiphyllum) with a ceramic pot. It’s widespread interior use, due to its exceptional acclimation to low light conditions and air cleaning qualities. These evergreen plants, make attractive and excellent houseplants with their low water requirements and low lighting needs to thrive. Spathe plant leaves average 12-18 inches long and three inches wide. Their flowers take the form of an attractive, white ellipsoid shape surrounding a white, yellow or green stamen.